August 12, 2013, Letter Home & Biafran Nights (LBHN), the second poetry collection by Afam Akeh was longlisted for the $100,000 NLNG Nigeria Literature Prize 2013. Published in December 2012 by SPM Publications – an imprint of Sentinel Writing & Publishing Company Ltd, LBHN has received critical acclaim from literary critics and scholars across the world. All of us at Sentinel are quite optimistic that Letter Home & Biafran Nights will make the shortlist and possibly win the prize, but we must temper down this optimism in recognition of the quality and talents to be found in the other books which have also been longlisted for the prize, including Obi Nwakanma’s Birthcry, Tade Ipadeola’s The Sahara Testaments, former Sentinel Poetry (Online) editor Amatoritsero Ede’s Globetrotter and Hitler’s Children, ’Promise Ogochukwu’s Wild Letters, Gomba Obari’s Length of Eyes, Egbewo G’ebinyo’s Marsh Boy and Other Poems, Iquo Eke’s The Symphony of Becoming, Amu Nnadi’s Through the Window of a Sandcastle, Remi Raji’s Sea on My Mind and Launko Okinba’s Seven Stations Up the Stairways. 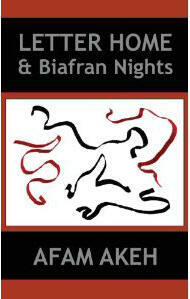 Letter Home & Biafran Nights is available at SPM Publications, Barnes & Noble, all Amazon sites and all good online stores. Paul McDonald & Colin Watts win Sentinel Literary Quarterly Poetry & Short Story Competitions, June 2013. I’ve judged the Sentinel poetry contest before, but this time, I changed my methods slightly. Beforehand, I had created three piles for the poems to go into as I read them. Pile one, the “no” pile, was for poems I knew from the off weren’t right, for whatever reason. Pile two, the “maybe” pile, was for poems I intended to return to and read again to get a better sense of. And pile three, the “yes” pile, was for the poems that really struck me on the very first reading. The “yes” pile tended to be quite slim, while the others were much larger. Before, once the “yes” poems had gathered, I turned automatically to those to find the prize-winning poems. However, I’ve since realised that many of my own very favourite poems are not poems that instantly grabbed me the first time I read them. (I’m now ashamed to admit, for example, that I hated Allen Ginsberg’s Howl on first reading.) In fact, one of the signs of a really great poem is its ability to be read and re-read and re-re-read many times. I realised that I’d perhaps been rather unfair to the poems in the “maybe” pile. This time, I had only two piles: just the “no” poems and the “maybe” poems, with any poem that might previously have been a “yes” joining its friends among the “maybes.” I’m inclined to think that my prize-winners might well have been the same under either system, but this one seemed fairer: I returned to a much larger “maybe” pile and re-read all the poems therein more than once. This system also seemed to make the job of picking out the fifteen prize-winning, highly commended and commended poems – always agonising – a little easier. I was able to think clearly about what I was looking for and search each poem for these things. What was I looking for? Above all, originality. Not just new-ness – though new-ness, in a pile of poems littered with Bob Dylan homages, was very important – but the ability to create lines, phrases and images I’d never heard or read before. I wanted poems where the voice of the poet (that slippery thing) was clear, confident and not in any way derivative. The Commended poems were all peppered with lines that pleased me. In “Unbusy Love,” I was struck by the image-making of the first few lines, which, coupled with a confident rhythm, created a promising start: “The wind like some fond shepherd drives the cloud / into corruption. Summer’s yellow shroud / is torn with crows. The saltwrack teems with flies.” “Bon Voyage,” meanwhile, carried off a difficult conceit (the speaker claiming they had absolutely not done this list of things they clearly did do) across really quite a long poem – and again, there were striking moments: “this cloud-and-tree-branch sky.” Although “Seeing A Dead Animal For The First Time” got a little bogged down in squeamish descriptions of the corpse, its author made this a poem about something more than just telling me what everything looked like. The ending – “it was new dead / and its eye was trying / to remember my face from somewhere else” – was masterful. “A Japanese bride on Westminster Bridge in February” is a poem that asks more questions than it answers, which is always a desirable trait in a poem. Why are the “crystalline tear-tracks from her eyes” (side note: where else would they come from? Is that line really working as hard as it could? This is the sort of edit that makes a Commended poem into a Highly Commended) clearly visible in the photograph? Who is the woman – “bridesmaid perhaps” – behind the camera? This poem hinted at a bigger and more complex story, one I wanted to read, very effectively. I’ll admit, I was initially drawn to “Eleriot’s Car” because it was the only entry that had clearly been typed on a typewriter (manual typewriters are a great love of mine). But the mode of execution only added to the poem’s charm, it turned out. This piece was rhythmically delightful, very easy to read: “Kiss the ground. Rattle to a halt. // Swaddled in clothes and a boiler suit, / I am a superman.” I also loved the story it told. “retired manufacturer of acetylene lamps // for cars, aviator, father of children. / I dreamt of an aeroplane’s grace.” I cared about this person, about what happened next. A lovely poem. “Lune” and “Sailors” are both very short poems. Creating a tiny poem that also has something at stake is tricky business, but “Lune” creates a sweet love poem that comprises of only one image. “we are our bed’s lungs” is a great last line. “Sailors” effectively creates a dark, brooding atmosphere in only seven brief lines. Why were these poems only commended? A few reasons. As I mentioned before, editing your work requires that you ask the questions, “is every word in this poem contributing something useful? 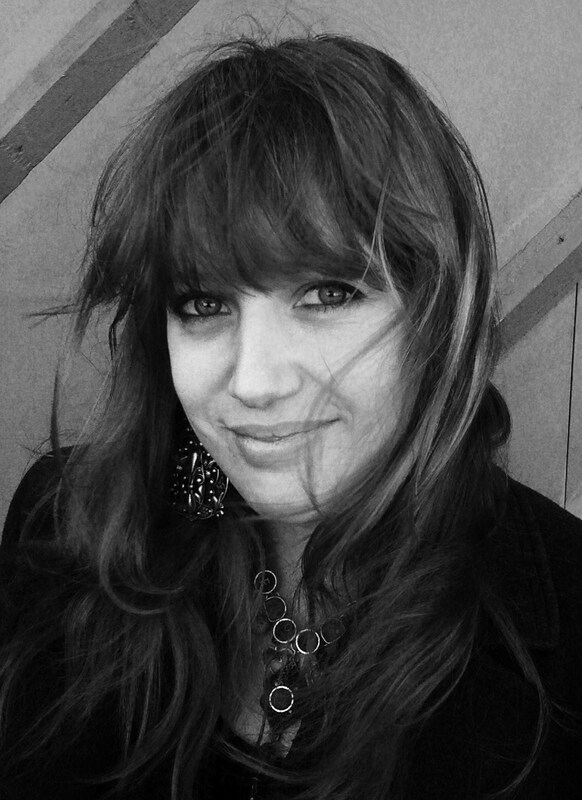 Is every line in this poem working hard?” In many of these poems, there were words, phrases, lines, occasionally whole stanzas that were languishing, not really adding anything. A hard, ruthless edit could have made the difference for many. Length is also a big concern: with some of these, I wanted more, and with others, I got the gist well before the end and felt the poem had overstretched a little. And balance is something else to look out for. Poems that start well can peter out as the poet rushes to draw a line under everything. Conversely, poems whose endings are spectacular sometimes have tepid openings. The only way to get a real feel for this stuff is to keep writing, and most importantly, keep reading. All the poems in the Commended section show huge promise, so my advice to their poets would be: keep at it. Read, write (and in that order). You’re heading steadily in the right direction. Picking Highly Commended poems might be the most difficult bit of the judging process. These are poems that are ever-so-nearly prize-winners, but some little trifling something makes the difference. For example, I genuinely loved “I am most like Frodo Baggins of the Shire.” Here was a poem that ticked all my boxes: it is original to the point where it’s edging on silly, but pulling itself back just enough. It’s confident: the form is tight, and ending the first and third line of every stanza with “I” is a precocious experiment that I really appreciated. I especially liked the lines that deviated from the formula: “being sucked, / helpless, into their sleepless i- / rises and perspiring, I.” I was ready to award this poem a prize, but the little something that made the difference? The sudden disappearance of the pattern in the final two stanzas. Suddenly, this weird, wild and wilful poem totally toned itself down, meaning the ending couldn’t help but be a bit of a disappointment. And it would be so easy to rectify, too! A hair’s breadth away, this one. “Bees” is brilliant. (How unusual to have two such great poems about flying stinging things in the top six poems!) This is another really original poem, taking risks with everything: imagery, rhythm, its shape on the page. It’s sonically delicious and the pacing is great, so reminiscent of the zig-zagging flight of a bee. Some highlights, for me: “smoked puffball of burnt calm,” “frou-frou / into bee balm,” and the list of rose names at the poem’s heart. What kept it out of the prizes in the end? The length. Although there are great moments throughout, after a while I found myself thinking, “OK, I’ve got it, time to wrap it up now.” The first four stanza-blocks (this poem is too wonderfully loose to just call them stanzas) were definitely the strongest, and thereafter the poem started to unravel a little. In biro, I’ve written on the poem “stop here!” under the line that begins “ring a bellflower.” I can tell the poet had so much fun writing this, but for me, this piece is the perfect example of the importance of knowing when to stop. Finally, “Stitching time” is a short, straightforward but haunting poem about the Moors Murders. This is the sort of subject it’s nearly impossible to write about: it is so easy to stray into melodrama or sentimentality, depending on your approach. The poet here avoids those pitfalls by focussing not on any of the individuals involved in the case (neither the murdered children nor Hindley or Brady), but on a piece of needlework being completed in the Lifers’ wing. We assume Myra Hindley is the seamstress, but we don’t actually know, and it doesn’t really matter. This was a poem I returned to and read many times. Initially it befuddled me – its sometimes jolting rhythm and stop-start punctuation was probably deliberate, but also what eventually kept it out of the winners in the end (it didn’t feel deliberate enough). But the more I read it the more layers of nuance I found. And in places the poem does pick up its rhythmic skirts: “she / chose the colours of attrition / gray, blue / the clutch of fog, / escape of sky / and deep vermillion.” Line breaks are generally used to great effect. The poem feels sparse, pared back, but it is also complex, dark, hopeful, and forgiving. A little technical edit – and I feel reading aloud would help hugely with this – and I think it would be a very accomplished piece indeed. I believe all three prize-winning poems speak for themselves, so I’ll try not to say too much about them. “Where the River Fans Out” takes a while to warm up (my eyes only began to open to what a great poem this is at “when you tire, here is / a bench just for you”), but when it does, there is barely a word out of place. The poem wants you to think it’s loose and meandering, and the illusion is well sustained, but actually this piece is very rhythmically tight and beautifully controlled. Punctuation – a thing many poets overlook as Not That Important – is vital to the ebb and flow of this poem and always thoughtfully, carefully placed, as are its line breaks. Tiny, tiny things kept this clever poem in third place: the word “twitter,” for example, seemed to just cross the line into whimsy (a thing the poet held admirably at bay in a piece full of bluebirds and deer!). But overall, I was impressed: there’s a lot going on in this poem about masculinity, nature and belonging, and it’s beautifully done. I wrote a note on “Country cousin” that read, “I didn’t want to like this. WELL DONE.” I’ll admit: the title and the first line worried me. I expected the poem to be twee, to revel in period details and quaint turns of phrase. When it not only didn’t fall into these traps, but also turned out to be a serious and well-written rumination on class and privilege, I was absolutely gobsmacked, in the best possible way. This poem is so, so well controlled: I can tell it’s been thoughtfully edited, probably more than once. Though the second stanza is largely given over to the listing of fashionable frocks, it doesn’t run away with itself. Similarly, stanza three, though set up as an obviously admirable antidote to the city cousin’s material excesses, never becomes melodramatic or preachy. The voices of both women are strong and clear, amazingly so for such a short piece. There are great images and turns of phrase throughout: “copperplate regret,” “feet bare and frilled with dirt.” And the ending is just brilliant. It’s rare that a poem defies and exceeds my expectations to such a degree that by the end, I feel embarrassed I had them. As well as being about man’s relationship with nature, though, this is also a poem about place and space – what is home, and how meaningful is the concept of home? These humans believe the house is theirs, but so do the wasps, who “stung the glass I used to trap them.” It’s also about power: “any femme fatale can be a queen.” For a poem that’s essentially about one wasp, there’s a lot going on. And the poem is really well written. Rhythmically tight, with every single word doing something, adding something. Some great images – “curls of angry static,” “furious with windows” – but nothing flashy. The poem is perfectly weighted – it doesn’t start strong and tail off, or start too quietly before building to a more impressive crescendo (though the ending is great). Every line works in its own right, every stanza has something in it to enjoy. And it made me think a little differently about wasps, too, which is no mean feat.